18622 N Sportsman Paradise Ln, Nine Mile Falls, WA.| MLS# 201913990 | Cooper Realty Services (509) 599-1111 | Spokane WA Real Estate | Contact us to request more information about our Homes for Sale in the Spokane WA area. Here is the Lake Spokane waterfront property you have been waiting to find! The instant you drive in the yard you will be captivated by the home, the land, the water and the panoramic views of the area. 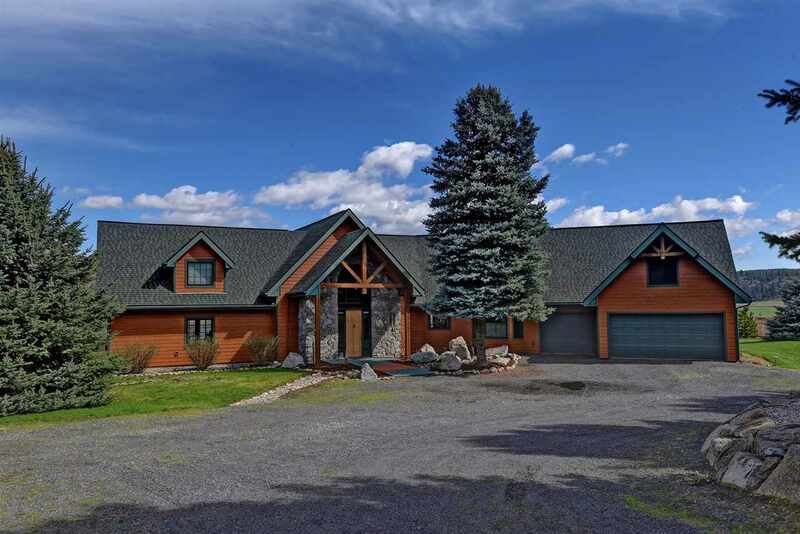 10.5 acres of level land with over 330 feet of waterfront. The craftsman style open floor plan home is finely appointed with a custom kitchen, and a huge master suite. Enjoy the river rock fireplaces, the patio-room, the dock and the shop. All the amenities will not fit here, You will have to see this one!